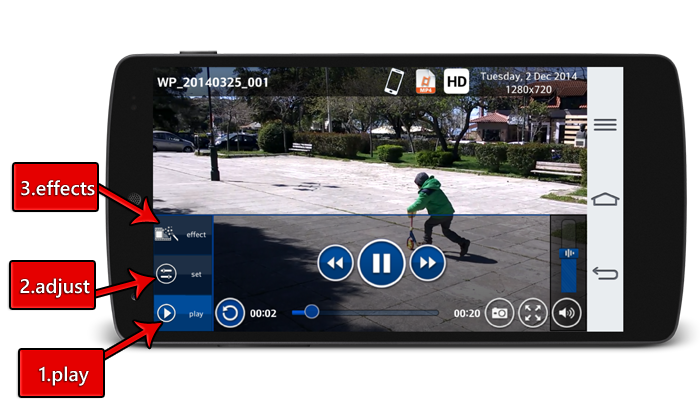 The app's current version supports all the well-known video or audio file formats (everything that your Android device supports, e.g. Mp4, 3gp, .Mkv, Mp3, .Flac, etc...). Future versions of the app. will expand the above list. 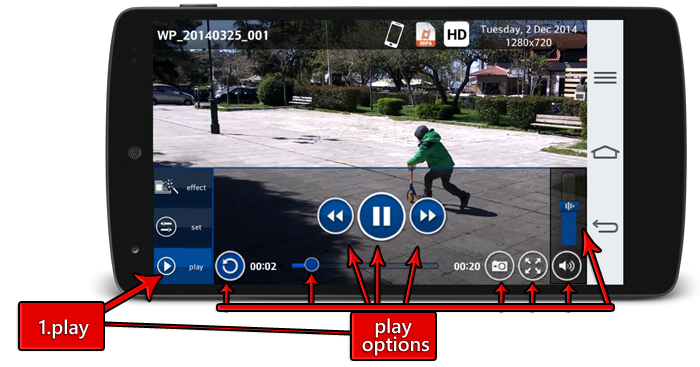 Control the video position, adjust the volume, switch to full screen or normal mode, capture snapshot, pause, play, rewind, forward buttons, autoreplay on/off. 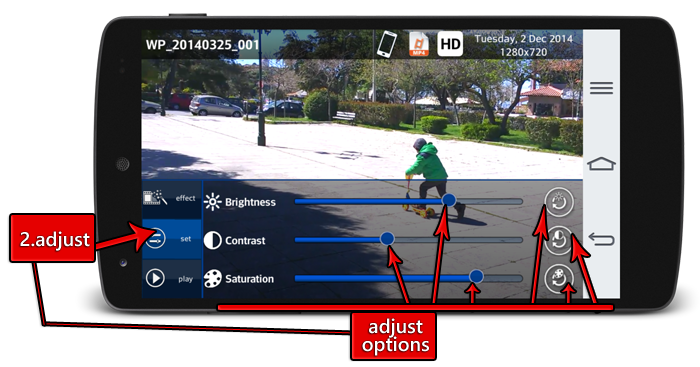 You may adjust the contrast, the brightness or the saturation of the playback video without stop. Select the tab on the left with the option "SET". Use the sliders to change the values for each option. Tap on the round buttons on the right to reset each value to the default setting. You may change the media effect during playback without stop. Select the upper tab on the left with the option "effect". Tap on the desired effect. 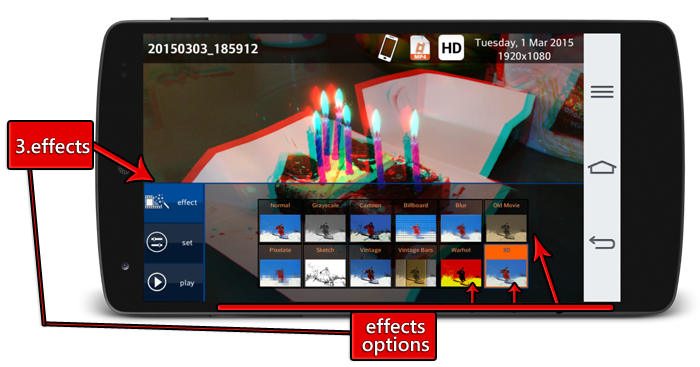 On the screenshot below the "3D effect" is selected and highlighted. Tap on the middle of the screen to show/hide the controls and continue the playback.